Easily increase productivity and eliminate errors in your warehouse or distribution center with next generation hands-free voice and data. 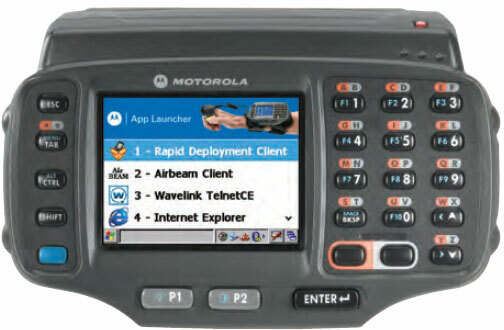 Arm your workers with advanced, real-time, hands-free mobile computing with the Motorola WT41N0 Wearable Terminal. This rugged device will allow you to achieve maximum error-proof productivity, operational efficiency and accuracy through voice compatibility for streamlined warehouse and package handling functions. WT41N0, Wlan 802.11a/b/g/N, Touch Screen, 2-Color Keypad, 1Gb/8Gb, Ce 7.0, Extended Battery. Interface Cables And Charging Cradle Sold Separately. Quad Charging Cradle Kit (Part# Crd4001-411Ees) Requires Ac Line Cord (Part# 23844-00-00R). WT41N0, LIKE NEW. Wi-Fi (802.11a/b/g/n), Touch Screen, 2-Color Keypad, 512Mb/2Gb, Windows CE 7.0, Standard Battery, Interface cables and charging cradle sold separately. Quad Charging Cradle kit (Part# CRD4001-411EES) Requires AC line cord (Part# 23844-00-00R). WT41N0, LIKE NEW. Wt41N0, Wlan 802.11 A/B/G/N, Touch Screen, 2-Color Keypad, 1Gb/8Gb, Ce 7.0, Extended Battery. Interface Cables And Charging Cradle Sold Separately. Quad Charging Cradle Kit (Part# Crd4001-411Ees) Requires Ac Line Cord (Part# 23844-00-00R). WT41N0, LIKE NEW. Wi-Fi (802.11a/b/g/n), Touch Screen, Alphanumeric 23 keys, 2-Color Keypad, 512MB/2GB, Windows CE 7.0, Extended Battery. Interface cables and charging cradle sold separately. Quad Charging Cradle kit (Part# CRD4001-411EES) Requires AC line cord (Part# 23844-00-00R). WT41N0, LIKE NEW. 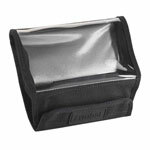 Wi-Fi (802.11a/b/g/n), Non-Touch Screen, 2-Color Keypad, 512MB/2GB, Windows CE 7.0, Standard Battery. Interface cables and charging cradle sold separately. Quad Charging Cradle kit (Part# CRD4001-411EES) Requires AC line cord (Part# 23844-00-00R). WT41N0, LIKE NEW. Wi-Fi (802.11a/b/g/n), Non-Touch Screen, 2-Color Keypad, 512MB/2GB, Windows CE 7.0, Extended Battery. Interface cables and charging cradle sold separately. Quad Charging Cradle kit (Part# CRD4001-411EES) Requires AC line cord (Part# 23844-00-00R). 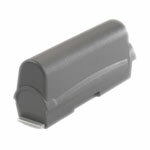 Universal Charger-Cradle, Cradle Kit (4-Slot, Ethernet, International). Includes power supply and DC line cord. AC line cord (Part# 23844-00-00R) sold separately.